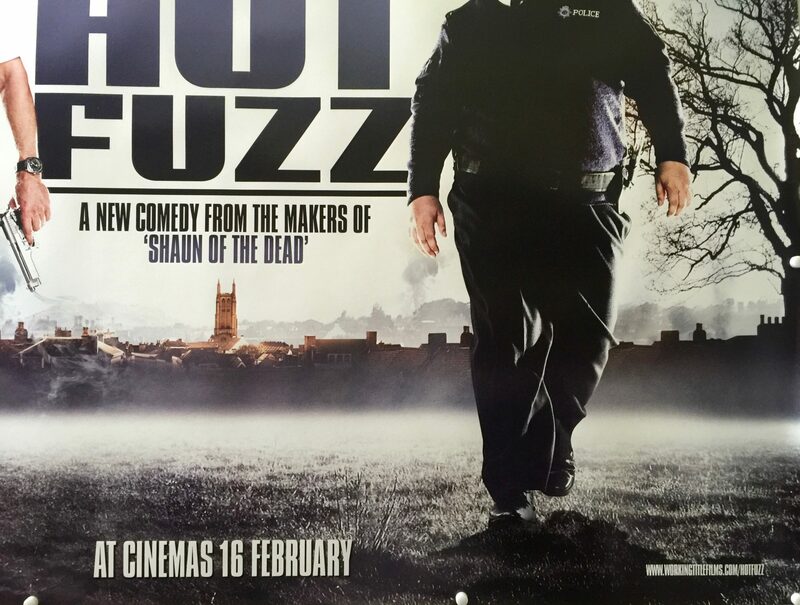 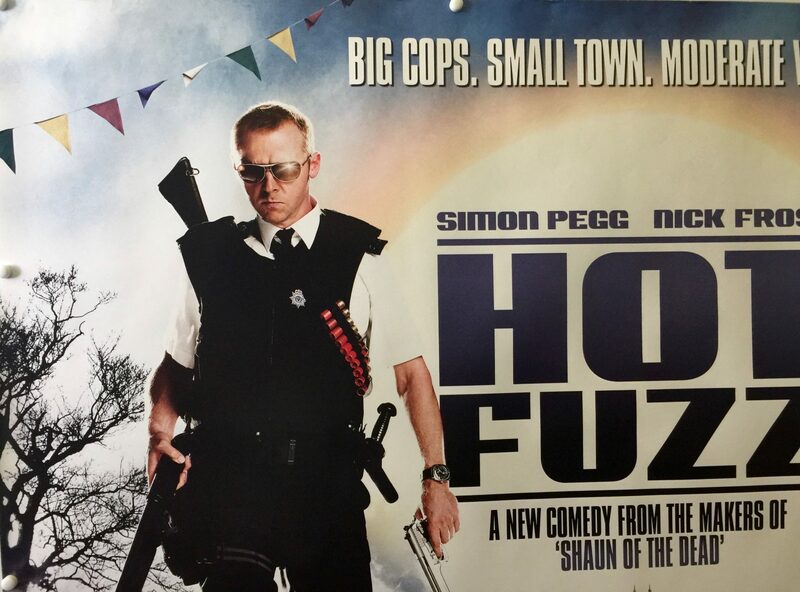 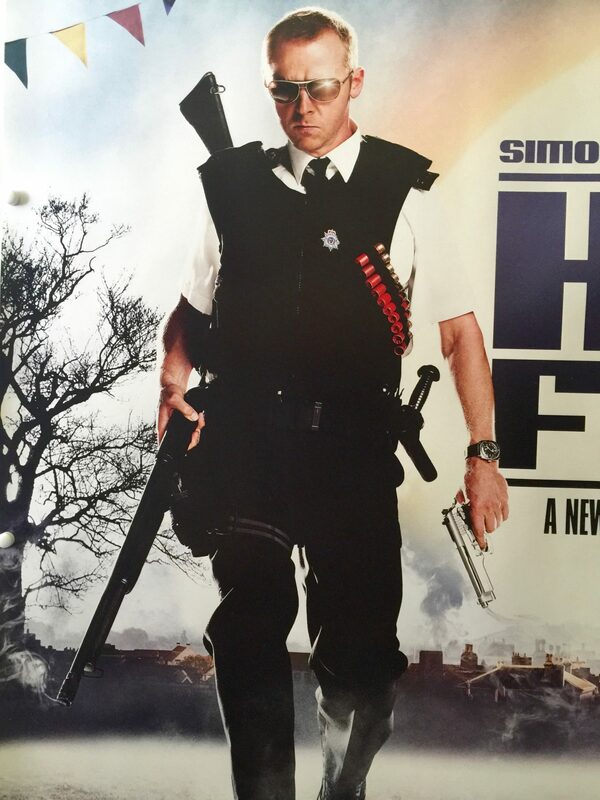 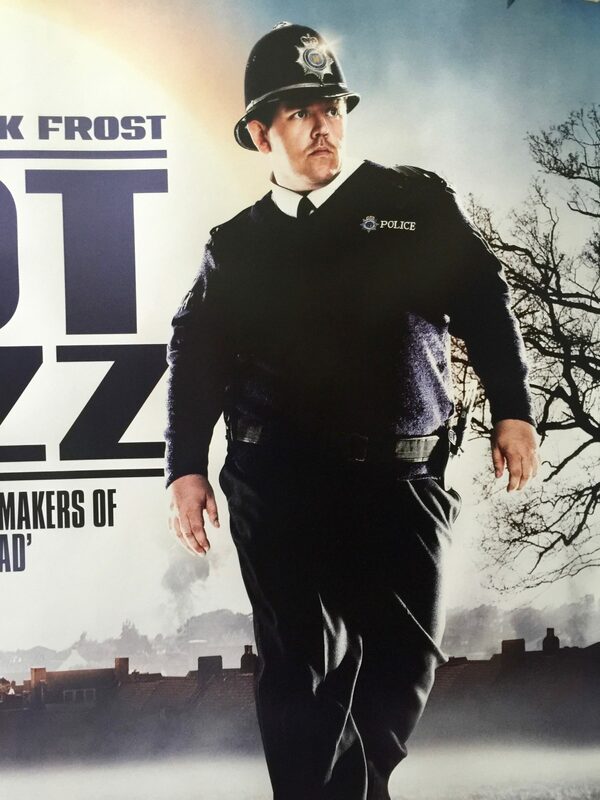 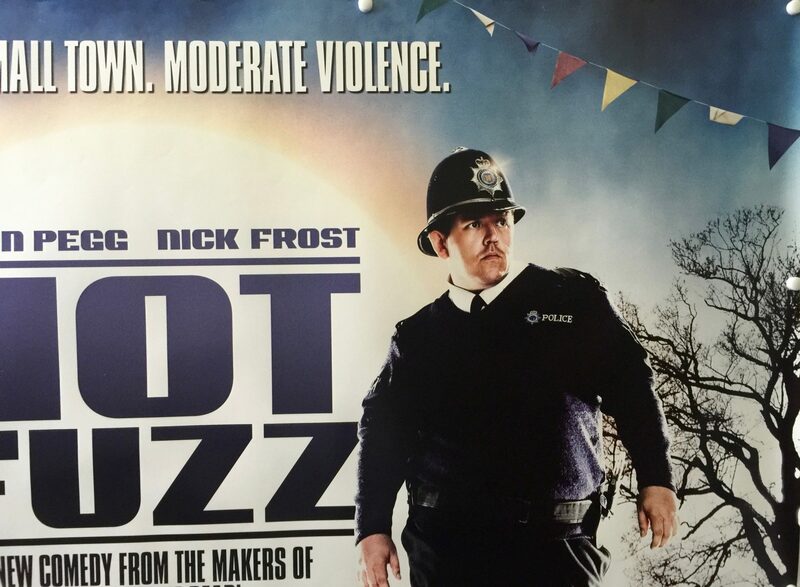 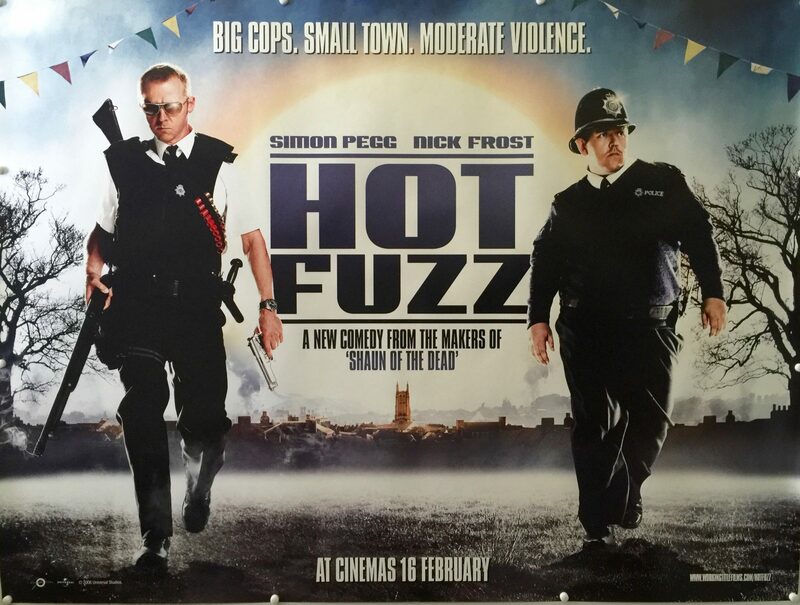 Hot Fuzz is a 2007 British satirical action comedy film directed by Edgar Wright, written by Wright and Simon Pegg, and starring Pegg and Nick Frost. 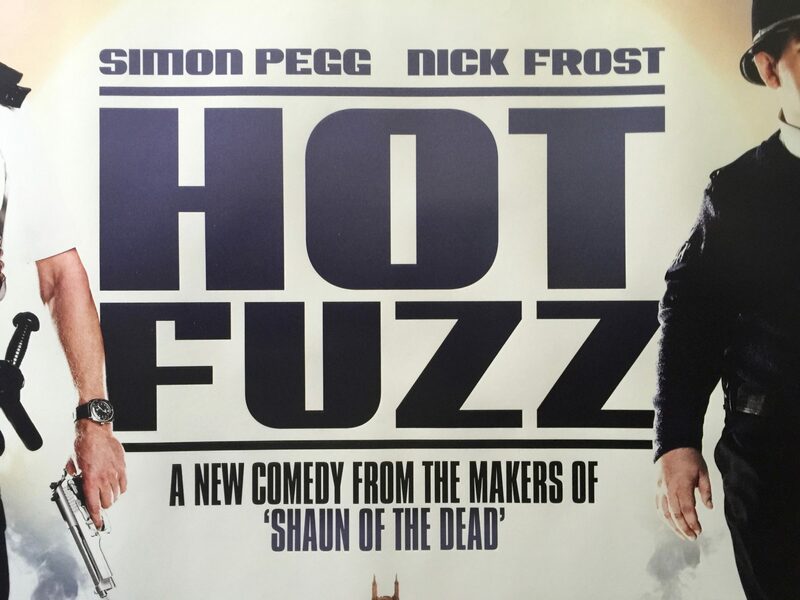 The three and the film’s producer Nira Park had previously worked together on the television series Spaced and the 2004 film Shaun of the Dead. 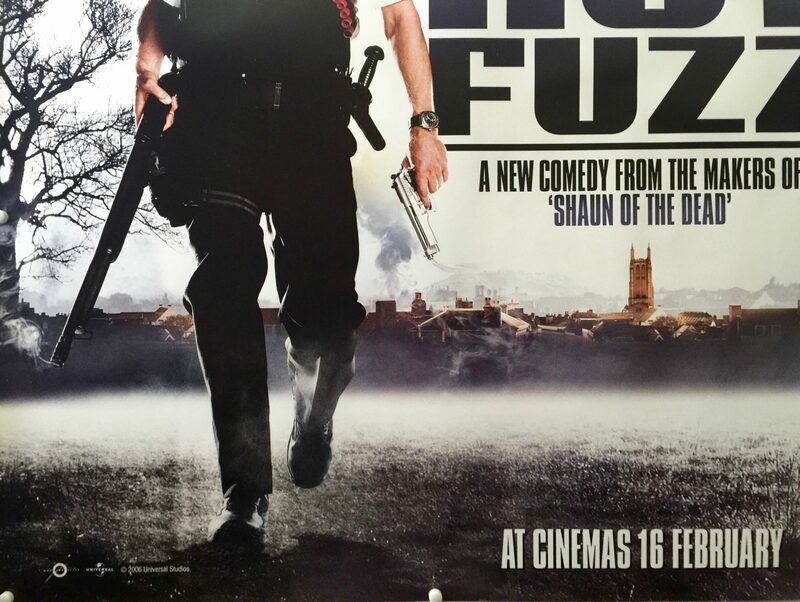 The film follows two police officers attempting to solve a series of mysterious deaths in Sandford, a fictional small English village.